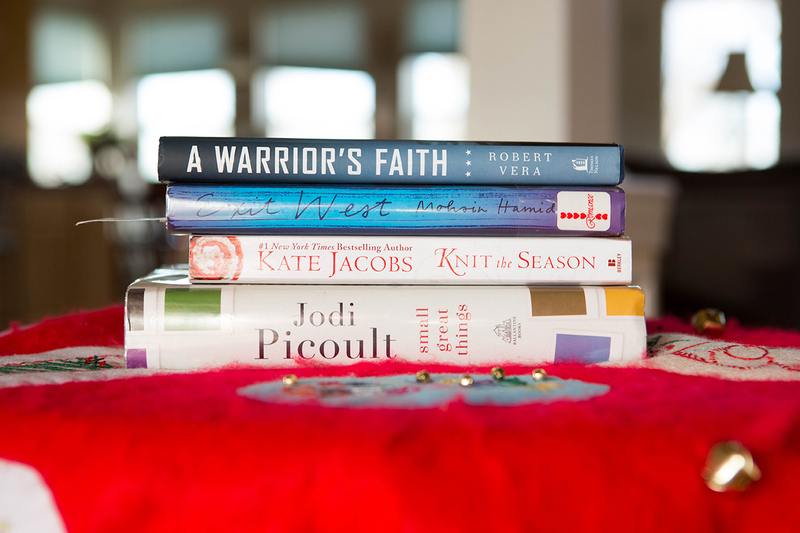 Day 12 was about my stack of books this month. I had a goal to read 24 books this year and currently I am at 22 :) We will see what I can get through in the next few weeks. Perhaps we will have a good snow storm that would help! 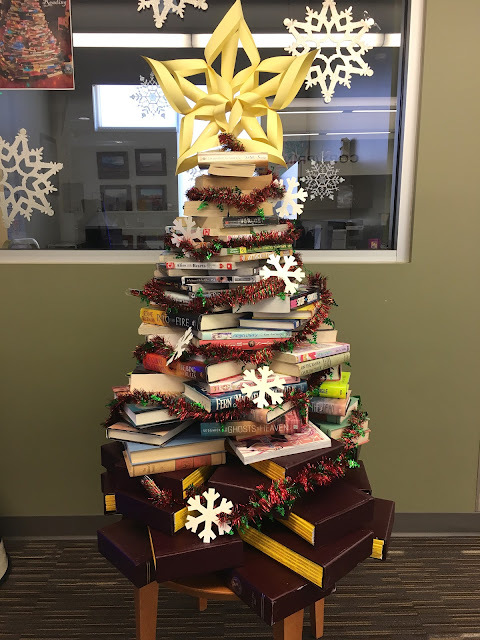 Our local library is complete with a book Christmas tree! Can't think of a tree I would rather see or perhaps one day build in my own house! Day 13 A band concert for Brianna and a special visit by my parents and niece, Ellie. I was lucky to have her sit with me and listen to her cousin. This little one rocks the world and the world has no idea what is coming as she grows up. Love our local school music program and so proud of Bri playing for the first time this year!